The first change ringing on a fixed ring of bells in France. 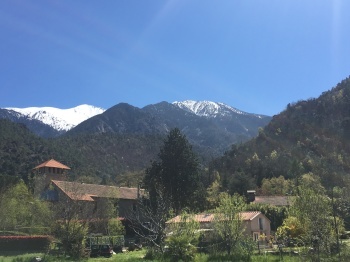 St George’s with le Canigou behind (2785m). First submitted Saturday, 13 April 2019 at 16:53:49 by Jeffrey P Ladd. Sent for publication in The Ringing World on Tuesday, 23 April 2019 at 11:04:18.